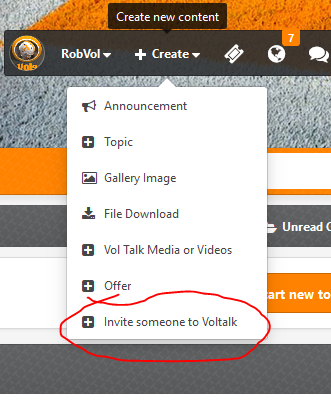 I added a quick and easy way for people to refer their friends to Voltalk. You can find the option underneath the "Create" menu option in the top right hand corner. So get out there and refer some peeps.